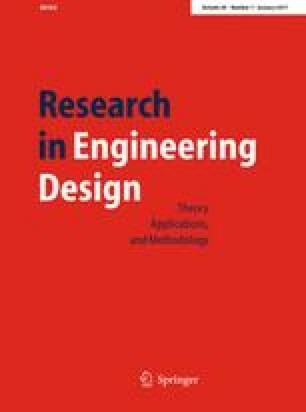 This study describes a scenario-driven conceptual design information model and its formation from the viewpoint of the designer’s cognition, which is a fundamental part of practical design support tools. Four design meetings were observed in a company, at intervals of several weeks, in order to derive the model. The model consists of information elements generated through the cognitive design problem-solving process, which is a basic design process defined in this study. The study describes the relationship among these information elements, which illustrate the design information model and its formation. The model described in this study is based on scenarios, which promote the evolution of product design. Examples of designers’ discourse in the design meetings are presented to validate the model. I am grateful to Dr. Yasuyuki Yamagiwa and the SONY DAC team for their help and support.